Tonight (Sat. December 1, 2018) one of the biggest boxing matches in the heavyweight division’s recent memory went down. Undefeated knockout artist and WBC heavyweight champion Deontay Wilder faced the stiffest competition of his career. He faced fellow undefeated star Tyson Fury from the Staples Center in Los Angeles, California. 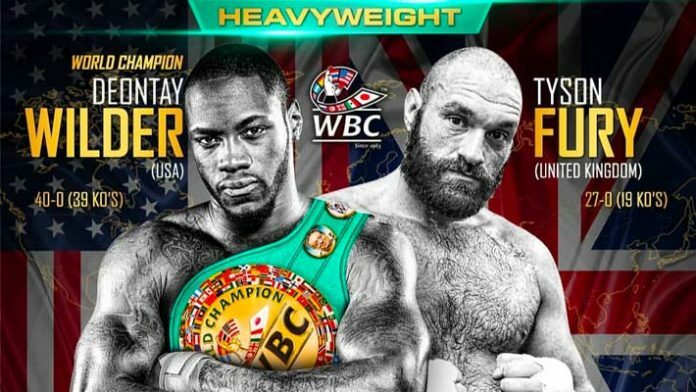 Before Wilder and Fury went to war, however, a great undercard was put together for boxing fans. The card featured Jarrett Hurd, who defended his middleweight titles against Jason Welborn. Also, top heavyweight knockout artist Luis Ortiz returned to the ring against Travis Kauffman.